Elimona is a seductive devil who runs a store on the border, where Bichura and Kucabara live. 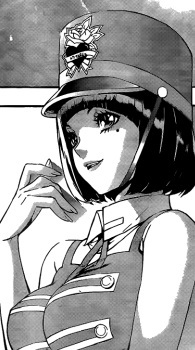 She frequently cosplays and tries to seduce Bichura and Kucabara, much to their chagrin. However, she is often turned to for help or advice by the protagonists.